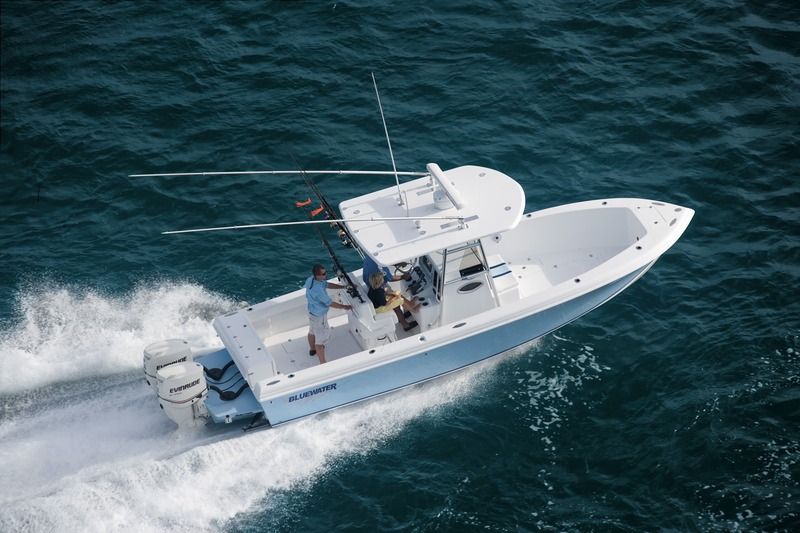 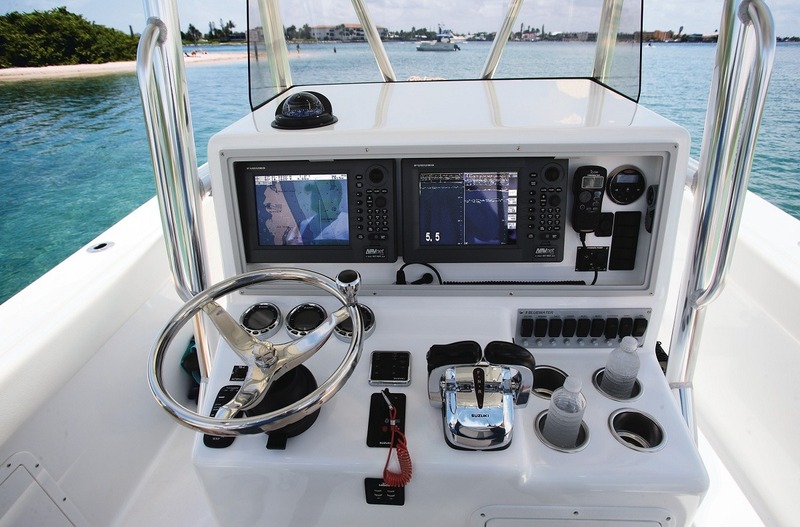 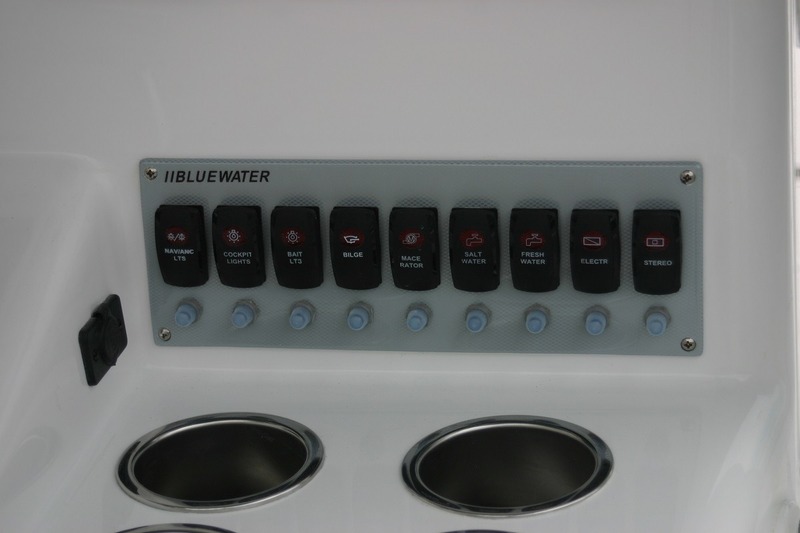 Bluewater 2550 – Bluewater Sportfishing Boats, Inc.
With more cockpit area than many larger boats and her well-balanced hull design, the 2550 fishes and runs like a 28-footer while offering the easier trailering of a 25′ boat. 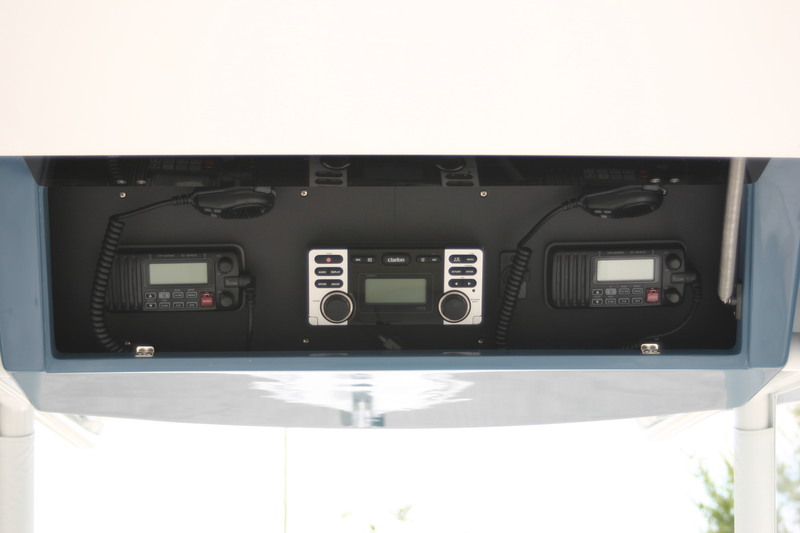 We gave the new 2550 a host of special features—such as gunwale boards with toe space below, increased storage, a modular electric system with waterproof quick connectors and a list of other features you need to see to appreciate. 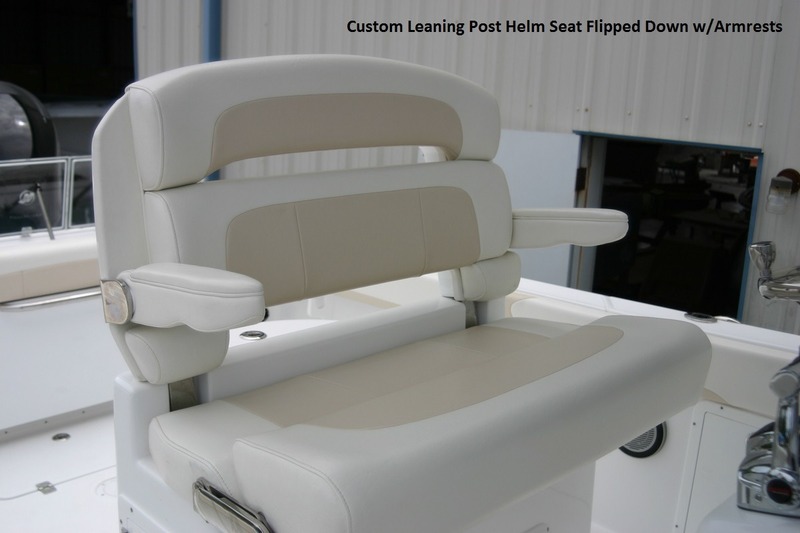 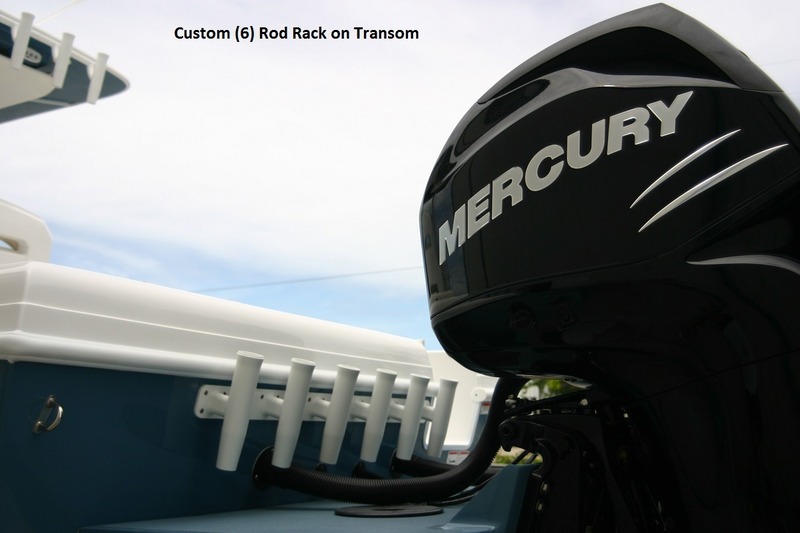 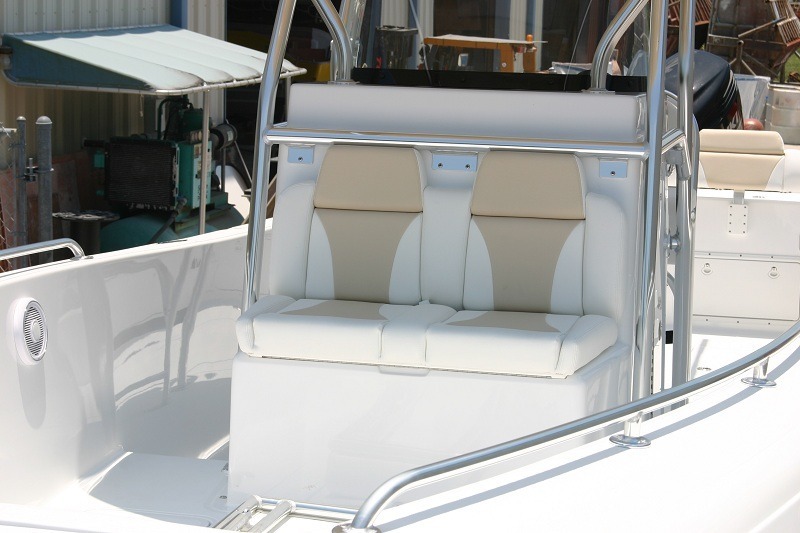 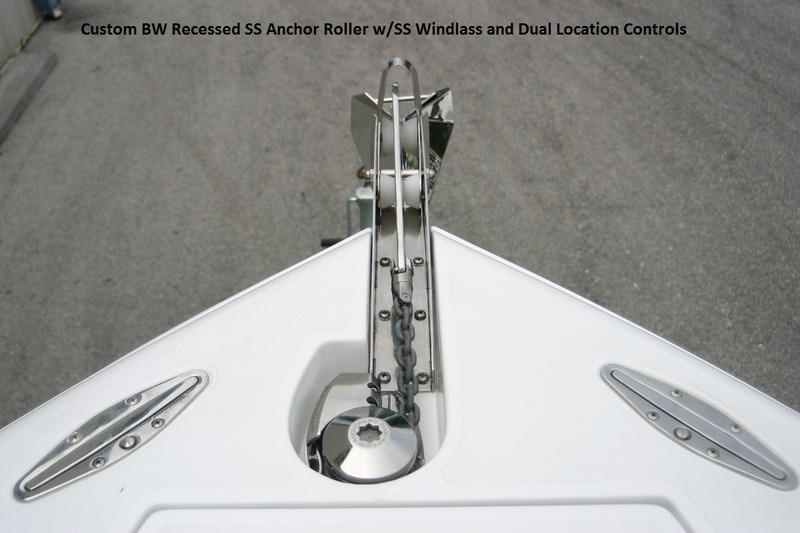 Fishing features include transom mounted 35 gallon live well, four large insulated fish boxes (two aft and two forward) plus a huge center box forward that also stores up to 9 rods at the end of the day. 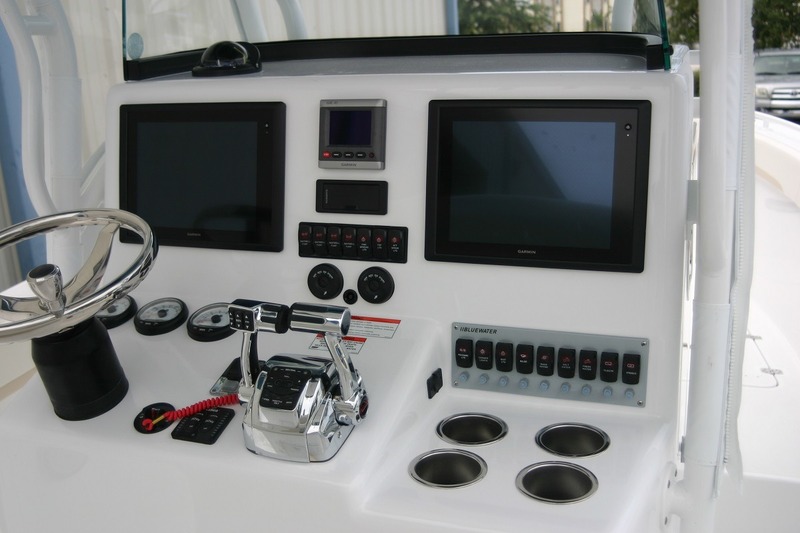 The console can be configured for two 12″ displays and any other electronic equipment you may need. 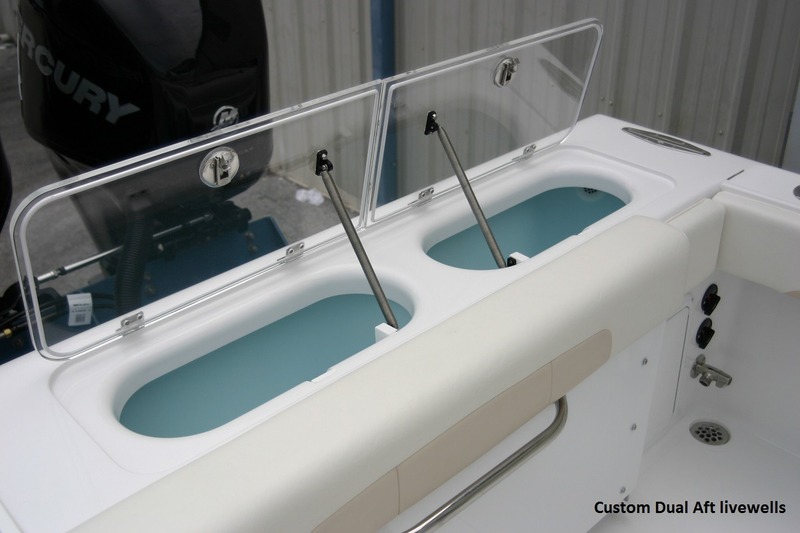 The walk trough transom makes diving and swimming easy and is perfect for getting the “big” one onboard. 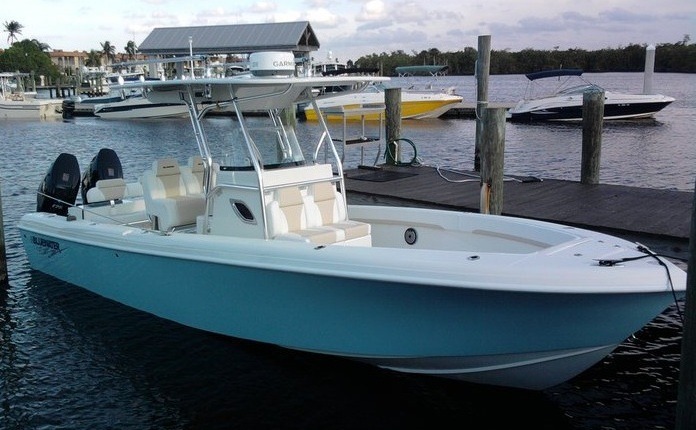 With all he deck space on this boat the 2550 makes an ideal fishing platform and a great way to get your family to the sandbar. 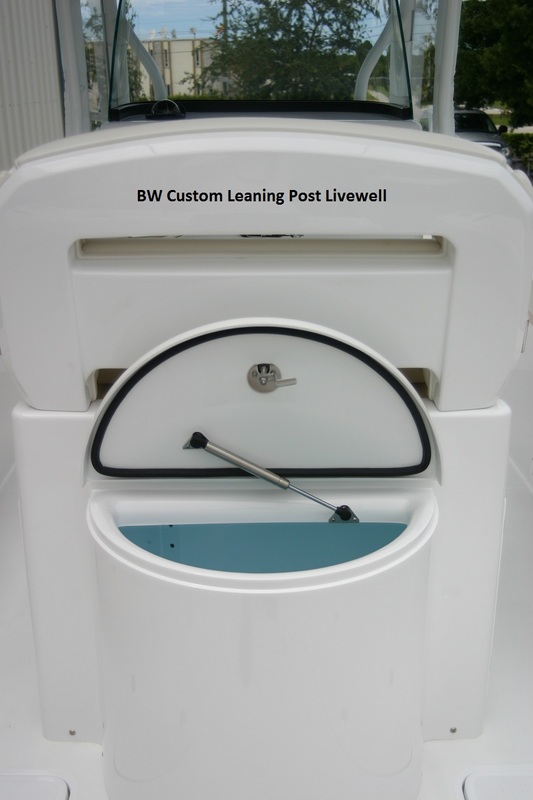 Like all Bluewaters, her multi-plex stringer system, bonded to the hull while in the mold, gives this boat exceptional hull strength and rigidity. 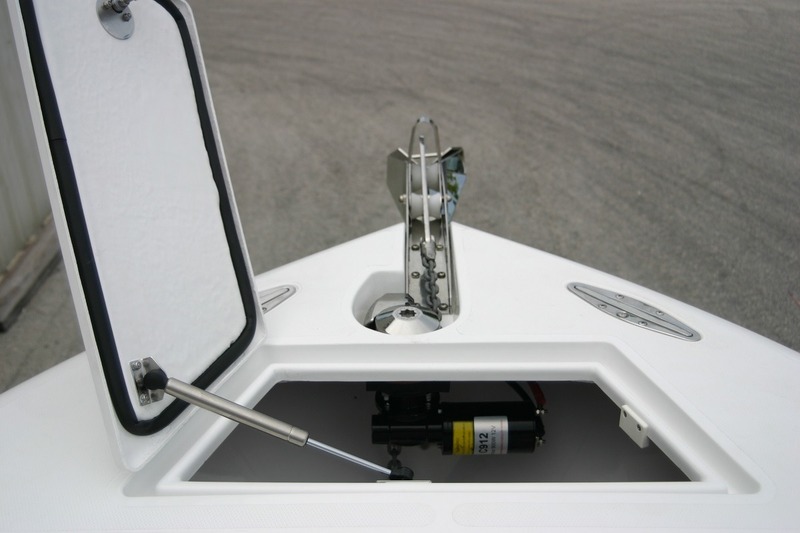 With a 178 gallon fuel capacity and a flat, smooth, dry ride even when the sea get lumpy, you can take the 2550 100 miles offshore to the tuna grounds or your favorite Island dive sites with complete confidence. 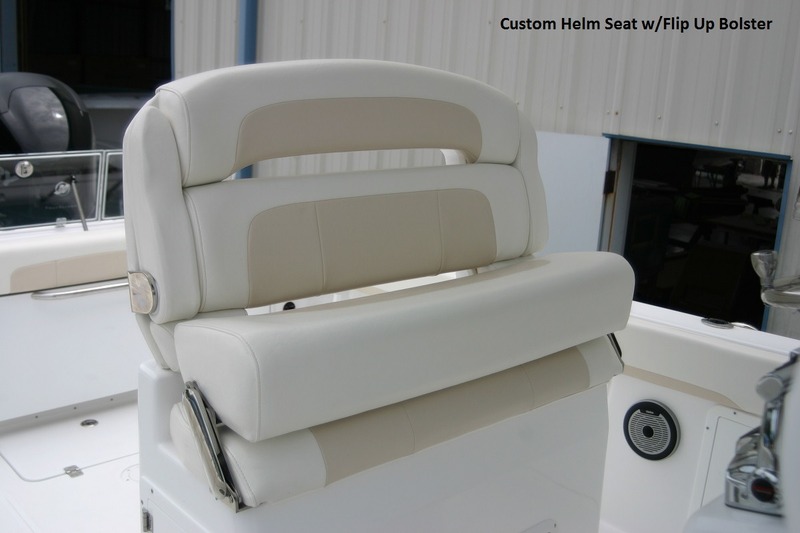 A recent delivery featuring the new “Sport” style top and cushion set.